Most travelers would agree that one of the best things about travel is to sample a country’s local cuisine, and South Africa has an array of traditional foods for its guests to try: This is in large part because the country consists of many different cultures, and each of them brings something different to the table. Literally. There are plenty of non-traditional options available, including many take out places. But if you would like to go ahead and try some local cuisine, then you will want to try these dishes. Bon appétit! Biltong is a jerky- type dried meat, although biltong is typically much thicker. 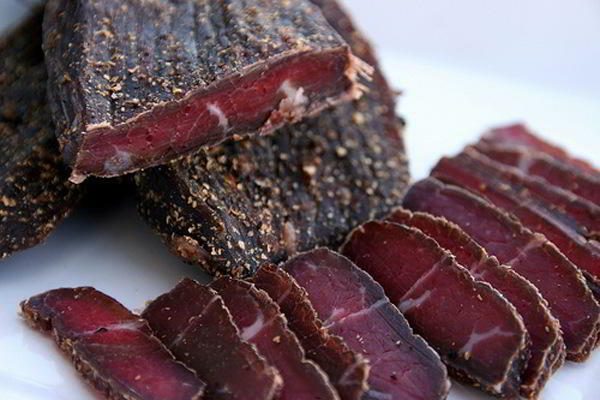 Biltong also gets dried with a variety of spices and vinegar, whereas jerky is mostly dried with salt only. 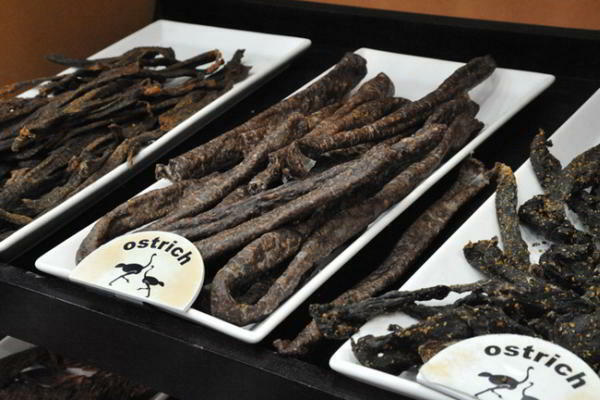 There a many shops in South Africa that specialize in Biltong: Patrons can choose what meat they want, ranging from beef to kudu to ostrich. They can also select how wet or dry they would like it, and how much fat is on it. This meaty treat had its origins in the 17th century when the Boers embarked on the Great Trek from the Cape to the interior of the country. They needed meat that they could store for long periods on end, and so biltong was born. There are Biltong shops all over. Almost every mall has a specialized biltong shop. You can also buy biltong in most convenience stores and grocery stores, although it is highly recommended that you go to an actual biltong shop to get a greater variety of choice, and the best quality meat. Bobotie is a dish made of minced meat and a crispy egg custard top layer, usually served with yellow rice. The original recipe came in the form of Indonesian Botok and was carried by Indonesians aboard Dutch East India Company’s spice ships which also transported Malay slaves to South Africa. 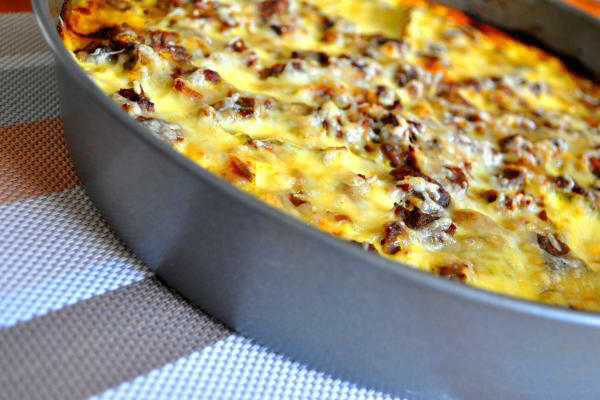 Over time, Botok morphed into the traditional South African dish known as bobotie. Lamb, pork or beef can be used, and although mildly spicy, it is not considered a hot meal. Bo- Kaap Kombuis (or Kitchen) is an authentic Cape Malay restaurant, and is owner run an managed by Yusuf and Nazli Larrney. 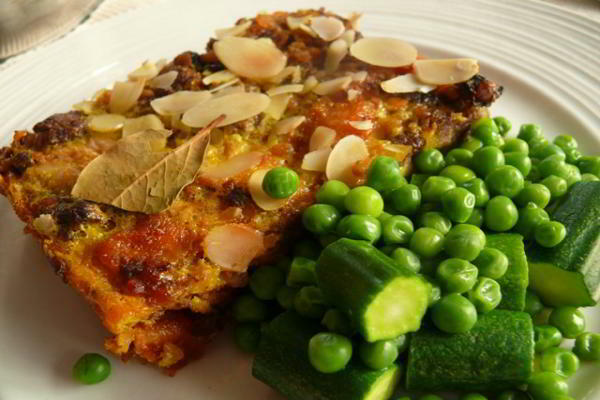 Here you will find true traditional bobotie, and the Cape Malay dish called Denningvleis. 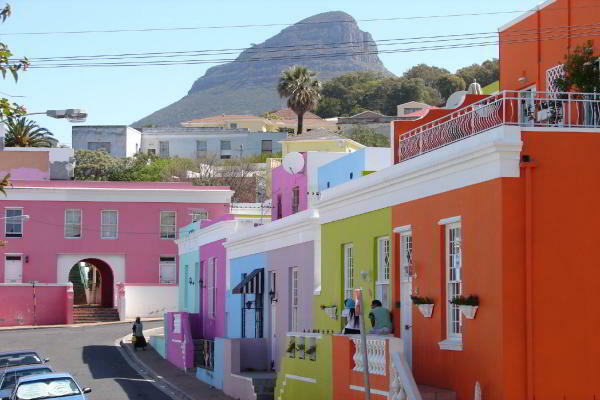 Bo- Kaap is situated in a historically rich area high on top of a hill, providing fantastic views of the city and Table Mountain. 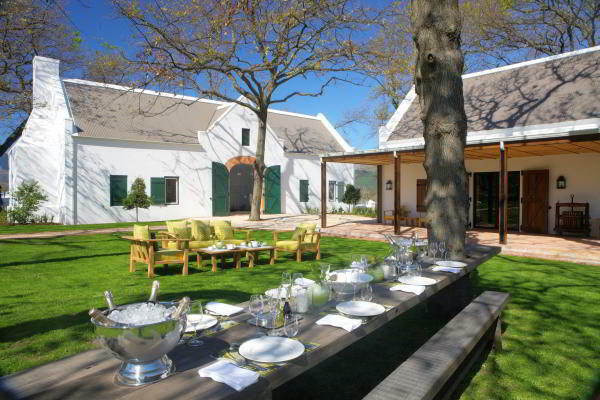 This fine dining restaurant is situated in the historic town of Franschhoek. The Cape Winelands is known as South Africa’s culinary capital, and Pierneef a La Motte certainly contributes to this pedigree: The restaurant researched the history of the region well, and as a result, guests can enjoy recipes that are over 300 years old. Pierneef a La Motte serves up a delicious bobotie. A Chardonnay will complement the dish well. Every person who visits South Africa will hear the word “braai” somewhere along their journey. Braai is the Afrikaans word for barbecue and has been adopted by almost all of the different South African ethnic groups. South Africa even has a National Braai Day: This public holiday is officially known as Heritage Day, which is the day the country celebrates its rich and diverse heritage. The general public has however renamed it in honor of the one thing most South Africans can agree on: that they all love to braai. The most distinct difference between a braai and a barbecue is that a barbecue is usually done on a gas grill, whereas a braai is wood fired. Chances are if you make a South African friend, they will invite you over for a braai. Alternatively, you can check out of a few other places that will serve you the South African version of “soul food” right from the braai. Mzoli’s is the one place where you can experience the festivities surrounding a braai in South Africa. 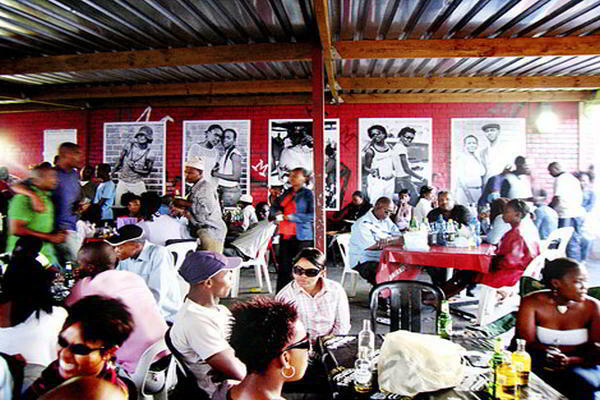 Mzoli’s Place is situated in the Gugulethu township: The layout is basic, with big fires, music and bucket loads of meat. It has a very cosmopolitan vibe, with students and tourists getting together with the locals for an authentic taste of township culture. There are no waiters at this establishment: You choose your meat from the attached butcher and take it to the braaiers to prepare for you. You can bring your wine, or buy your alcohol at the local shebeen across the road. Die Strandloper translates directly into “Beach Walker,” and is arguably the best place in the country to find seafood made on the braai. 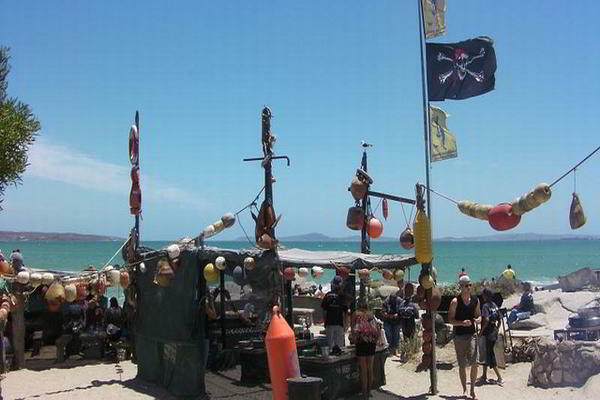 It is located in the west coast town of Langebaan and is only 125 kilometers/ 80 miles from Cape Town. It is an open- air and casual restaurant, where you can feel the sand underneath your feet and soak up the sun and fresh air. 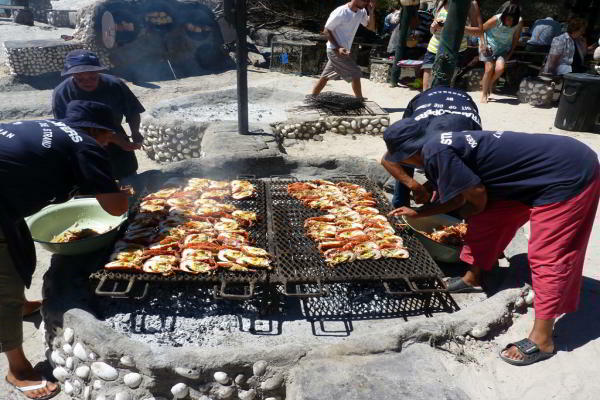 The central focus is the big open braai, where traditional South Africa seafood dishes such as Snoek, fish curry, and Angelfish gets prepared- even the coffee gets boiled on the braai here! Feasting at the Strandloper is a long affair, with the arrival of a new dish just as you think you are done. Be mindful to take cash as they do not have card facilities. Booking is essential. Boerewors translates directly into “Farmer’s Sausage,” and can be prepared on the braai or in a pan. 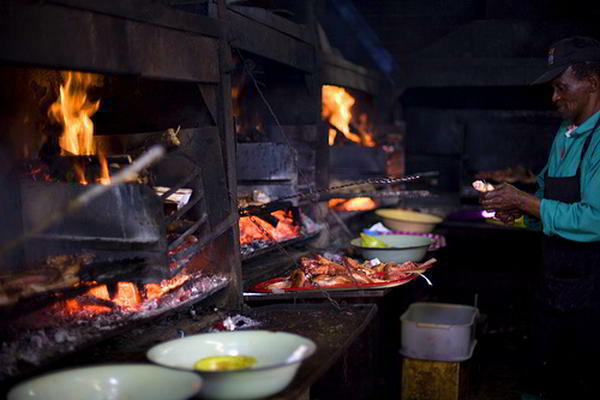 “Boeries” as locals affectionately know it, is staple fare in South Africa. It is both delicious and reasonably inexpensive. Boerewors is almost always 90% meat or more. The rest it is made up of spices and sometimes fat. Boerewors may not contain mechanically recovered meat: This is when the meat is separated from the bone mechanically. 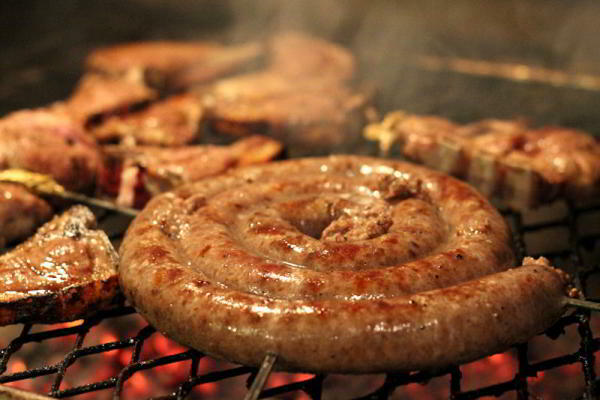 South Africans pride themselves in being able to make or at least braai the best boerewors in town. 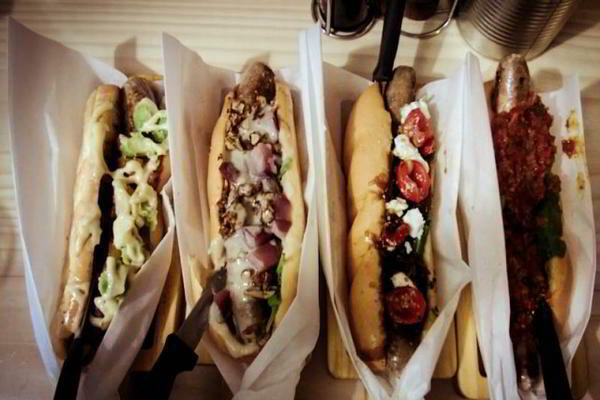 Gourmet Boerie is situated in the heart of Cape Town and is home to the gourmet boerewors roll. Here they serve boerewors on bread rolls, with delicious gourmet toppings such as juicy caramelised onion with goat’s cheese, roast cherry tomatoes, basil pesto and rocket, tomato salsa, sour cream, guacamole, jalapeno chilli, coriander and cos lettuce, or scrambled eggs, bacon, cherry tomatoes and a chive hollandaise sauce. The boerewors is always fresh, tender and juicy and you can even purchase your braai pack if the urge to braai it overwhelms you. No reservation is needed, so go ahead and pop in. 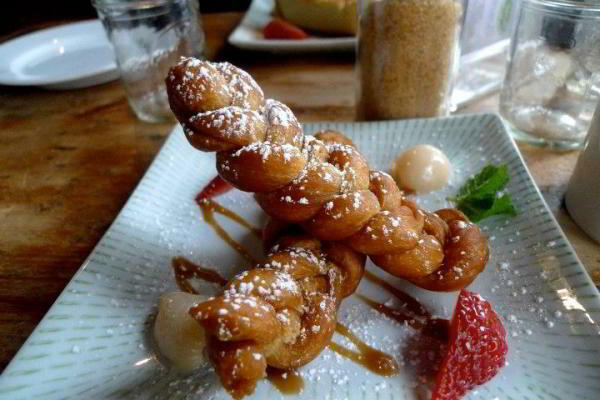 The word Koeksister comes from the Dutch word koekje, which means “cookie.” The Koeksister, however, has a slight twist to it – quite literally: It is for all practical purposes a syrup-coated doughnut in a twisted or braided shape. 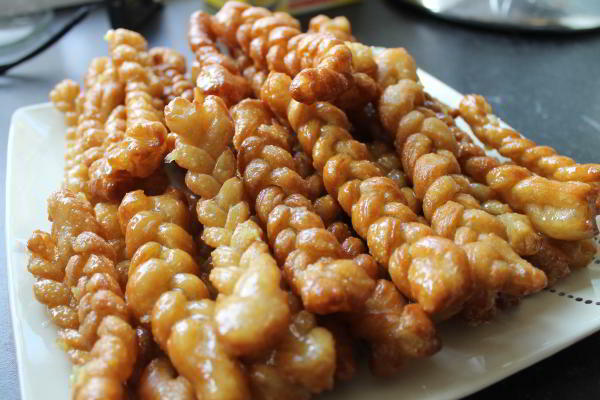 The koeksisters are prepared by deep-frying dough in oil and then dipping the fried dough into the cold sugar syrup. It is usually enjoyed as a desert, but also goes down well as a mid-afternoon snack with some tea or coffee. Koeksister can be found at most bakeries in the country, and are an inexpensive yet delicious treat. Snoek is South Africa’s favorite fish and is especially prevalent in Cape Town where they are caught. Its species name is Thyristes atun, and it can only be found in the waters of the Southern Hemisphere. 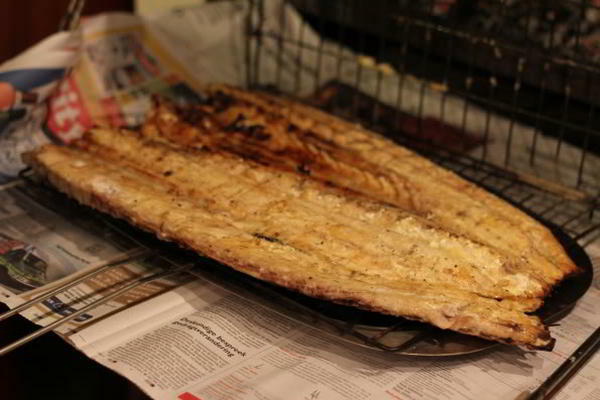 Snoek meat is white to light brown, and its opaque form makes it great for the braai, although it also cooks well in the oven. A special treat is to drive along coastal areas in Cape Town and to buy the snoek fresh from the bakkie (pick up truck) of a local fisherman. You can, however, get your snoek at a restaurant if you aren’t too enthused to cook it yourself. Houtbay harbor is dotted with working fishing vessels that supply Cape Town with the freshest daily catch, come rain or shine. Here you will find Mariners Wharf. It is located in Houtbay (just 20 minutes from Cape Town city center) and is the first harbor-front emporium in Africa and the Southern Hemisphere. 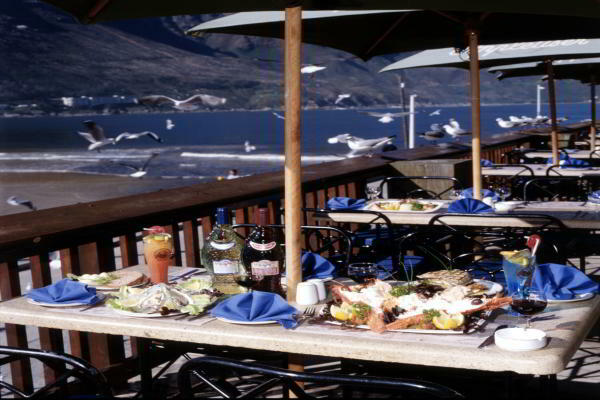 Mariners Wharf is a relaxed eatery where guests can expect the freshest seafood in Cape Town. The restaurant attracts big crowds, so make sure you make a reservation. 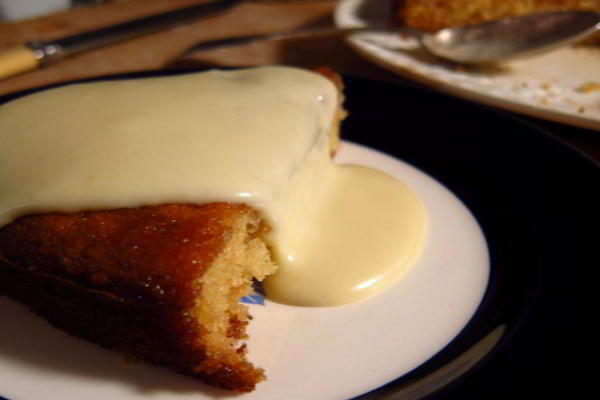 Malva Pudding is a sweet pudding of Cape Dutch origin, usually served with either hot or cold custard. The inside is a sweet sponge and dripping over it is a decadent caramelized sticky sauce. 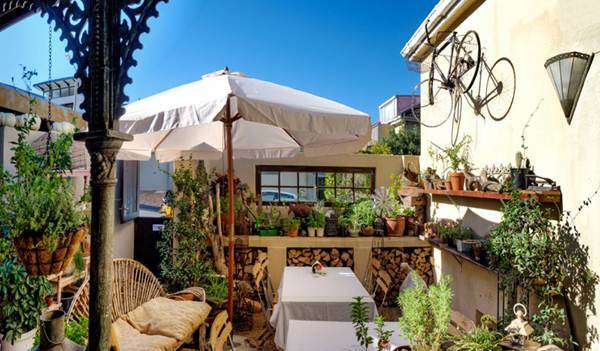 Cafe Paradiso is located in the heart of Cape Town’s restaurant scene in the famous Kloof Street. This landmark restaurant has a beautiful garden and celebrates the traditions of making hearty food. Here you can find your delicious Malva Pudding. There’s nothing quite like going home after your travels and craving some of the local cuisines you had during your travels. Below are some easy to make recipes so you can have a taste of South Africa whenever the craving strikes. To be served with a piece of bread and perhaps a fresh green salad. 1: Heat oil in a large pan and add mince to brown, breaking up with a wooden spoon. Add chopped onion, garlic, curry powder, and Korma paste. 2: Add grated carrot and apple, Chutney, cider vinegar and raisins. Add a little hot water and simmer for 8- 10 minutes, until raisins have swelled and carrot softened. Season well with salt and black pepper. 3: Pour 125ml milk over bread until it is saturated. Mix remaining milk and eggs together until well combined. 4: Mash soggy bread into mince until it’s not visible. Spoon the mince mixture into an ovenproof dish, spreading evenly. Pour egg custard over mince and place a bay leaf into the meat in the center. 5: Bake at 160°C for 25-35 minutes, until the egg custard has set. Serve with hot or cold custard or even some ice cream. 3: Sift dry ingredients into separate bowl. 5: Now add the above mixture (butter, milk, eggs) to the sifted ingredients and mix well. Now add the eggs mixture and combine well. 6: Pour into an ovenproof casserole dish that takes about 2 liters. 7: Bake at 190°C for 45 mins until the top is nicely browned. 8: Melt all the sauce ingredients together in a small pot over medium heat and pour over the pudding before serving, preferably while it’s still hot. 9: Serve it with ice-cream or custard or both. Great article! I felt hungry reading about all these delicious food. South African cuisine has a delightful mix of food influences from different parts of the world. It’s only after reading this post I knew about the Asian and European touches to African food. Can’t wait to try all the tasty meals in this post, and also explore the authentic cuisine in different parts of the continent especially in Cape Town. The recipes are also a nice touch to the post, as it can help me understand better what the food tastes like, and I can even cook it myself! Since I have a sweet tooth, the most enticing treat here is Malva Pudding. The Cafe Paradiso, where I can buy the dessert looks very charming as well. South African cuisine is very elusive from where I stay, and reading this article is illuminating as much as it’s informative and useful for someone like me who can only learn about South African food from a screen in a different part of the globe — soon hopefully I can taste them all irl!